Selection for NHS membership is approved by a council of GHS faculty members based on outstanding scholarship, service, leadership, and character. NHS members are not only expected to maintain their high academic averages but to continue to demonstrate these other qualities as well. 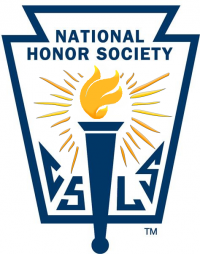 There are more than 12,500 National Honor Society chapters in high schools across the nation. Membership in the NHS is one of the highest honors that can be awarded to a high school student. With that honor comes the responsibility to maintain the high standards upon which NHS was founded. Membership also includes a responsibility to the GHS chapter of the National Honor Society. In order for the local chapter to be effective and successful, each member must be involved by participating in all chapter meetings and in various projects. Additionally, each member is expected annually to pay dues of $20.00 and accumulate at least 15 hours of community service.